VeganMoFo's Heading Our Way Fast! Vegan MoFo is always one of the highlights of my year. I love being a part of the online vegan community so bloggers getting together to flood the internet with pictures of amazing vegan food, inventive new recipes and stories of their every day lives for a whole month is right up my street. I also love the challenge of blogging every day becuase it forces me to come up with more creative ideas and it's also the only time I ever show you what I cook and eat at home which is super fun. I also love seeing what other people come up with, their themes, the glimpse into people's day to day lives, the challenges people choose to embark upon. 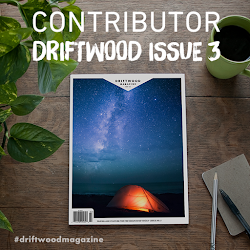 It's like everything I love about blogging but amped up a notch. 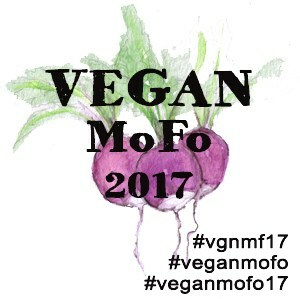 For the last few years I've been part of the official VeganMoFo team, I help with round ups and organise giveaways and I love it. If you're still on the fence about signing up what are you waiting for? You only have until tomorrow evening so get on it, the sign up form is here. This year rather than doing daily or weekly themes I'm doing one all encompassing theme for the first time ever. I even drew a swanky (haha) logo. Don't laugh! That's right, for the whole month of September I'll be focussing on two of my favourite things, cheese and chocolate. These were also two of the things I thought I'd find difficult to give up before I went vegan years ago. How wrong was I?! We have so many amazing options now that being vegan's a cinch. I'll be incorporating one of my favourite weekly themes, Mac & Cheese Monday into the month and the reason it's international? I'm heading back to Austin on Thursday! I can't wait to hang out with friends, re-visit Sweet Ritual, Capital City Bakery and Bouldin Creek Cafe and you bet I'll be spending plenty of time cooling off in the water at Barton Springs. You can expect to see amazing cheeseburgers, pizzas and reviews of American cheese and chocolate on the blog during MoFo as well as reviews of my favourite European goodies. 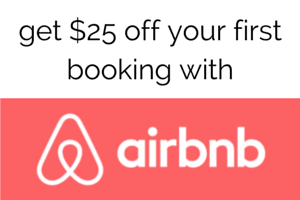 You know what else is exciting about Austin? 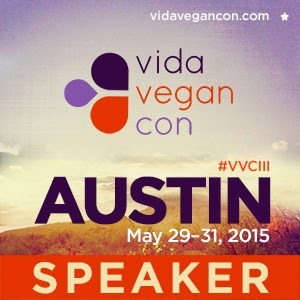 It's the location for Vida Vegan Con III! I'm so excited that they chose my favourite American city to host their wonderful conference because it gives me an excuse to go back there again next year. I also recently found out that I was accepted to speak at the conference and I could not be more excited. I literally squeaked and jumped up and down when I got the acceptance e-mail! It's a total dream come true and it feels amazing to have been chosen from what was blatantly a super strong group of applicants. I can't wait to see who else is speaking and I hope that I can hang out with some of you there. If you haven't bought your ticket yet maybe my blog post about 2013's conference will be the thing to convince you? It was such an amazing whirlwind of a weekend. I came home so inspired and I'm really looking forward to getting to work on the session I'll be running. More info on that later in the year! See you Monday for the start of MoFo! I can't lie the main reason I decided to make Cornwall the location for our summer camping trip was to visit the newly opened, all vegan, Wildebeest Cafe, which is situated in the lovely port town of Falmouth. 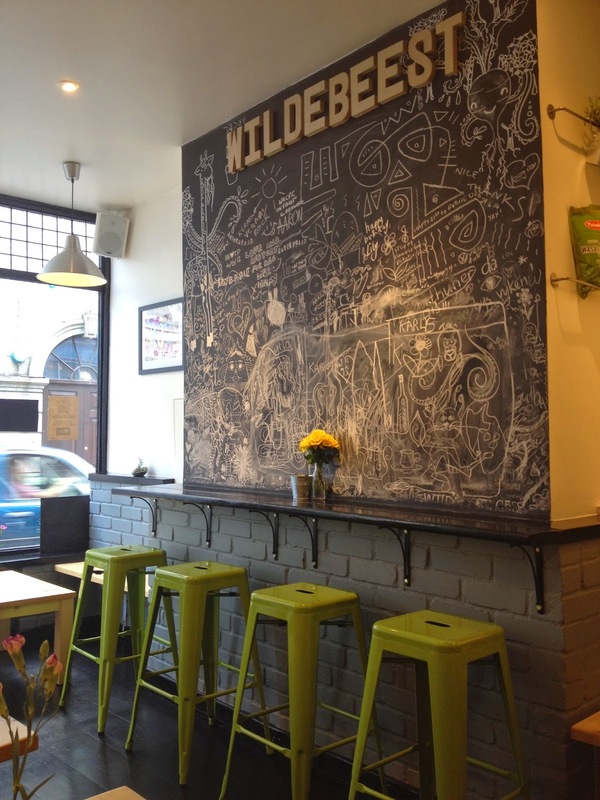 The people behind Wildebeest used to live in Brighton and whilst they were here they ran popular sushi pop up Yum Tum Sushi whose food I ate and enjoyed on multiple occasions. I've been following their journey towards opening this gorgeous new restaurant since the very beginning and I was overjoyed to finally make it down there to try the food. The space is gorgeous, this couple are super stylish and have created a lovely, welcoming, relaxing space. Despite having a peculiar phobia of chalk (seriously, don't use it near me) I loved the handwitten chalk board menu and the area people could doodle on above the bar seats. I was pretty happy nobody used it whilst I was there though or I might have had to step outside! We arrived far too early for lunch which begins at 12 and we were all happy to chill out with a drink and use their speedy wifi for 45 minutes before ordering. As we'd been eating ridiculous camping food I decided to go for a green juice as I couldn't remember when I last ate a vegetable. It had spinach, pear, apple, cucumber and lime and was perfectly refreshing. I love a little citrus in my green juice and it wasn't overly cucumbery which I dislike. 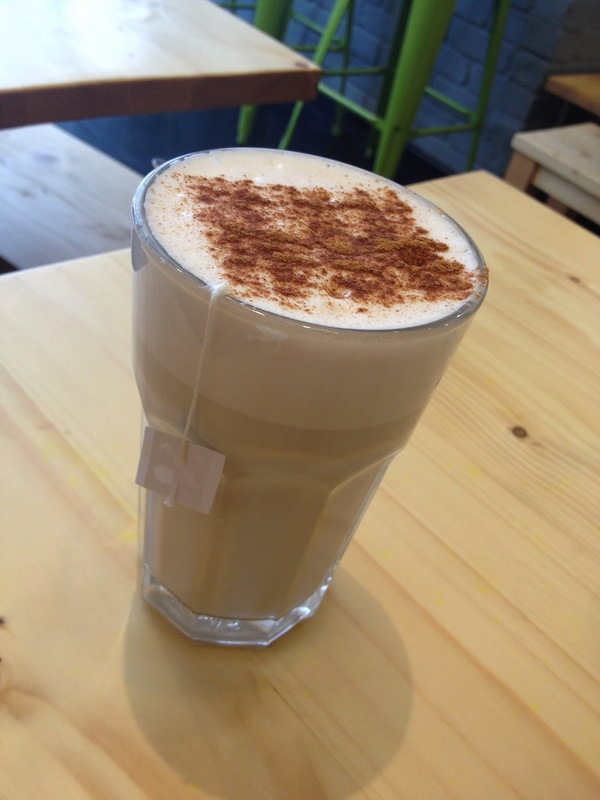 Everyone else had coffee or tea, this is Sal's chai latte which she enjoyed. It was the food we were most excited about though and I seriously wanted to order every single thing on the menu. It was great that we had so much time to deliberate and I managed to convince Nick to share loads of things with me which meant I got to try four different dishes. 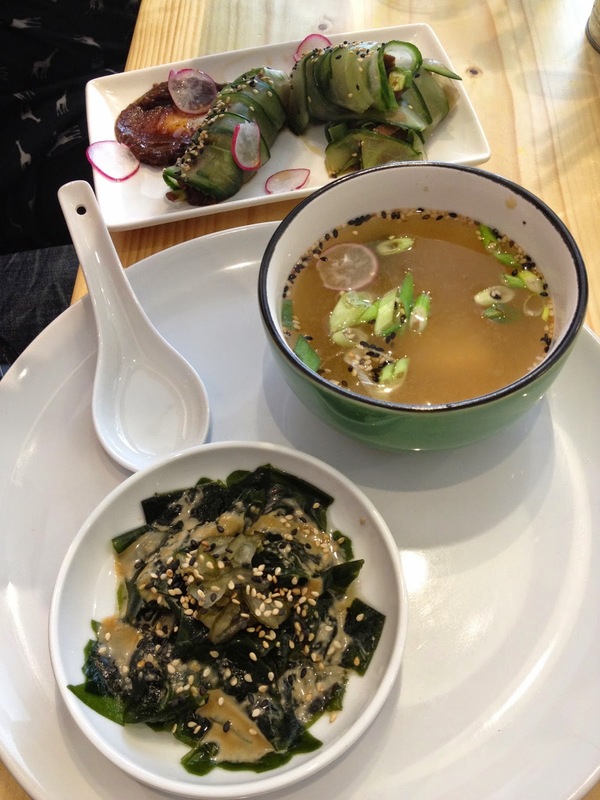 Here we have the Miso Soup & Seaweed Salad and the Hoisin Cucumber Rolls from the Light Bites menu. I loved everything about these three dishes. The cucumber rolls weren't what anyone was expecting, the finely sliced cucumber was wrapped around tender perfectly seasoned seitan. The hoisin sauce had just the right level of spice so as not to overwhelm the cucumber and, aside from being a little challenging to pick up with chopsticks, it was perfect. Seaweed salad is always a favourite of mine and the addition of a miso dressing and sesame seeds elevated it to the next level, I found this one hard to share! Miso soup, another fave, was up there with some that I had in Japan. So, spot on! We also ordered the Butterbean, Garlic & Dill dip with homemade bread. Whilst I enjoyed this I would have preferred it to have had a more pronounced dill flavour, the garlic was a little overpowering for me. I thought that the homemade bread was excellent and Nick, who doesn't love dill, thought everything about this light bite was great. The real star of the show was this next dish. Polenta with Pesto Tomato Sauce, Aubergine, Roast Cherry Tomatoes & Leeks. This dish wouldn't be out of place at an upscale NYC spot. The deep fried polenta was spectacular and it paired perfectly with the pesto and aubergine and the leeks and roasted cherry tomatoes could easily stand alone as a punchy canapé. Every bite of this was exceptional and when I go back I will be requesting that this is on the menu. One dish I actually didn't consider ordering was the Chilli which came with salsa, guacamole, chipotle cashew cheese and handmade blue and white corn tortillas. It was beautifully presented and both Sal and Tabitha raved about it. A bottle of homemade hot sauce also appeared at the table and everyone who tried it thought it was excellent. Dessert was another area that needed a lot of deliberation, there were five options and in the end we all went for three each. Yup! Three. That's how hard it was to choose. We all opted for the Warm Chocolate Brownie and a scoop of the home-made Chocolate and Hazelnut sorbet. The brownie came with cream but being a cream hater I skipped it. Ice cream's better anyway and boy did we hit the jackpot with this decision. The brownie was served hot out of the oven, it was perfectly gooey and super chocolatey and the chocolate and hazelnut sorbet is the kind of things my dreams are made of. It was intensely rich, nutty and creamy, bordering on Nutella-esque in flavour but better, so much better. Honestly I'm pretty tempted to make the seven hour journey just to eat this again. Hold me back! We also each took away a piece of the Lime Sponge Cake which made an excellent post-nap snack eaten lying on a picnic blanket in the sun back at our campsite. We all ended up with a bit of a sugar rush because the slices were huge and because we have no self control where cake is concerned but it was delightful nonetheless! Whether you live near Falmouth or not Wildebeest Cafe should make it onto your must eat list, it'll be worth every second of travel time I promise! Surprisingly for me I didn't just go to Cornwall to eat, I also had the beach in mind. Uh, yeah. So the famous British weather ruined that idea but I still had a great time exploring rainy coastal villages and towns with my buddies. 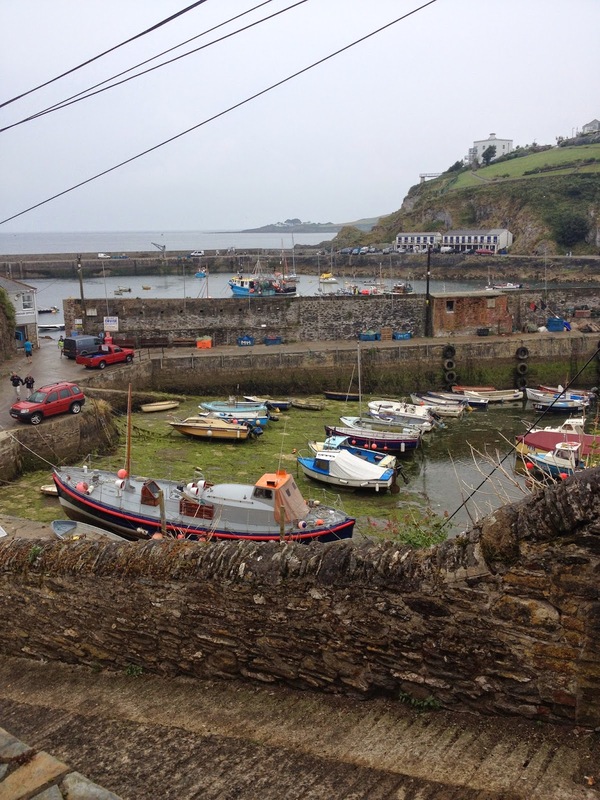 Mevagissey was one of our first stops and it's super pretty, we walked around the harbour and I saw my first ever jellyfish which was really cool. 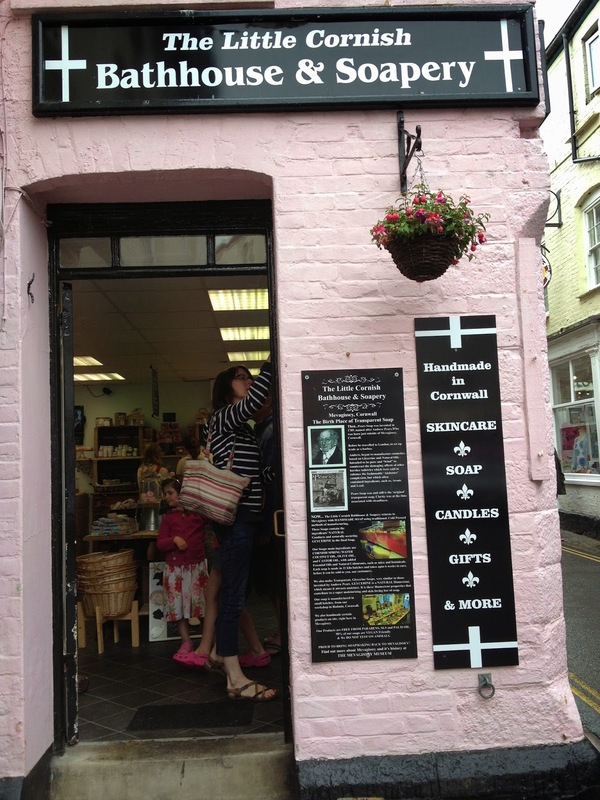 We stumbled upon this cute little soap store which had loads of vegan options, some of them even had the vegan society logo! Their bath bombs smelt amazing! We popped into this little grocers to buy some fruit to snack on and were super surprised by the vegan delights hidden inside, they had a huge variety of non-dairy milks as well as Alpro soya desserts. One place that we did plan to visit just for the food was Falmouth, we went specifically to dine at Wildebeest Cafe which was so great it's getting it's own post. After lunch and a fair amount of walking I spotted this sign out of the corner of my eye! How exciting! Annie's Kitchen had two kinds of vegan cake to choose from, I was stuffed but Nick took a piece of chocolate cake away and it looked really good. 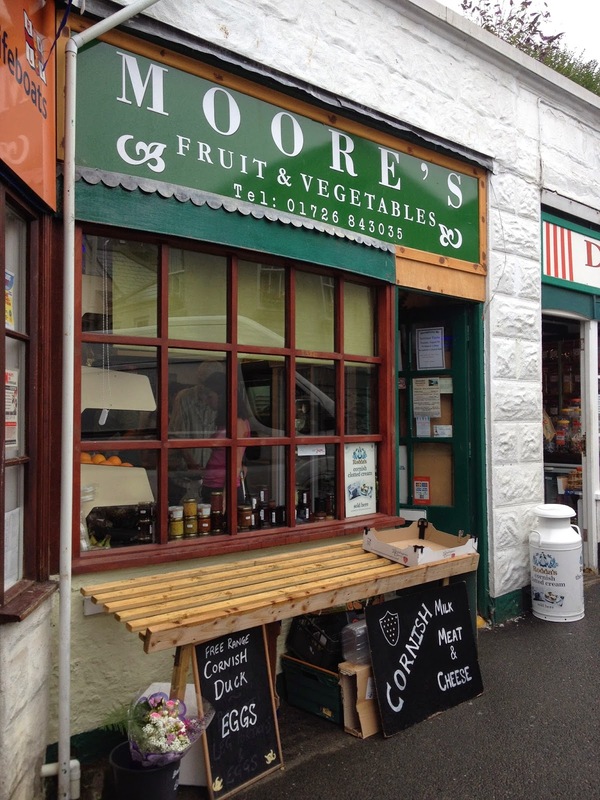 Falmouth also has a health food store where you can pick up a pasty and some snacks or staples. 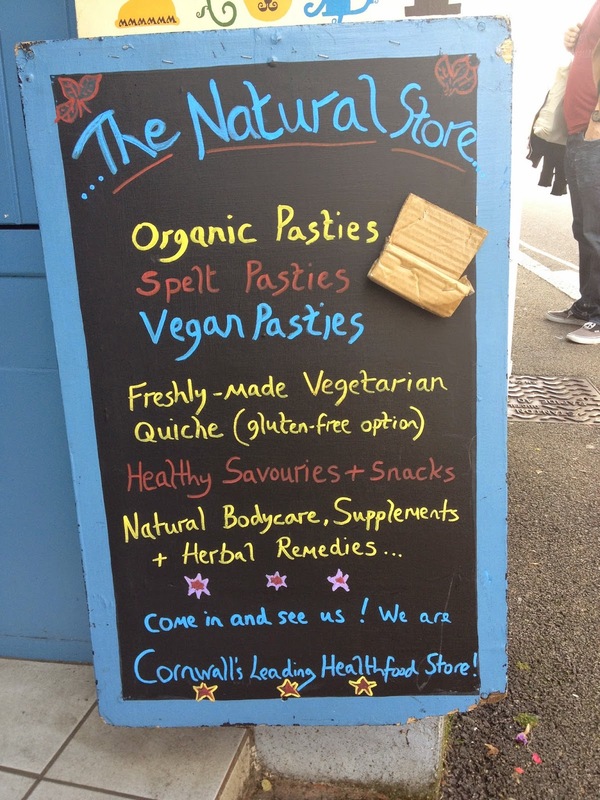 Falmouth is also one of the places you can pick up a vegan Cornish pasty from a traditional pasty shop, we were super excited when we spotted King's Pipe Pasties but they'd sold out already. Womp womp! Don't do what we did and rock up at 3pm, you need to get in there early! The next place to tick off of our Cornish to do list was The Eden Project, I can't believe it's taken me this long to plan a visit and we were super lucky as it was a lovely sunny day. The Eden Project has been focussing on increasing the wild bee population for the last couple of years, they've planted a wild meadow and a lavender garden, both of which are attracting bees by the bucketload. It's great. So much of the food we eat wouldn't be available if it wasn't for bees so we need to do everything we can to help them flourish. The Eden Project seemed to have a few vegan options available, I spotted a vegan looking salad and a sandwich in the shop near the entrance / exit and the cafe just inside the entrance to the Mediterranean dome looked like it had some vegan friendly options. It was all on the expensive side though and as we weren't 100% sure we'd find anything to eat we came prepared with some snacks and sandwiches. Yup, that's a Muscolo di Grano smoked seitan slice and Pringle sandwich. Thanks for the genius idea Sal! We spotted vegan chocolate in the gift shop. 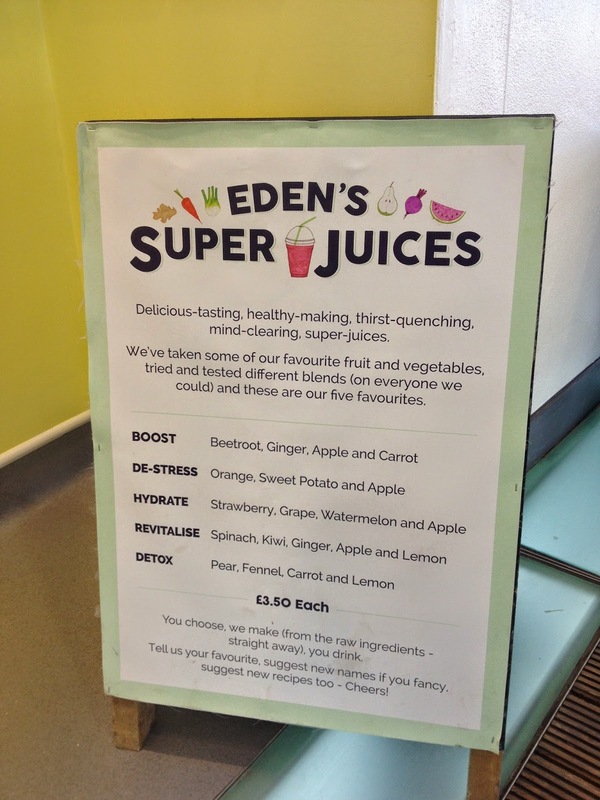 And we were all excited by the juice bar, we love juice! 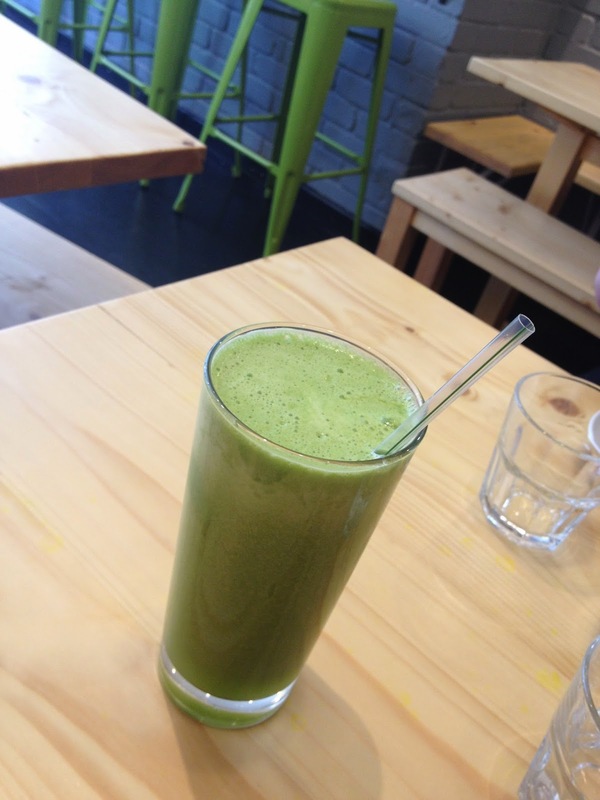 I went for the Revitalise which has spinach, mint, ginger, apple and lemon. 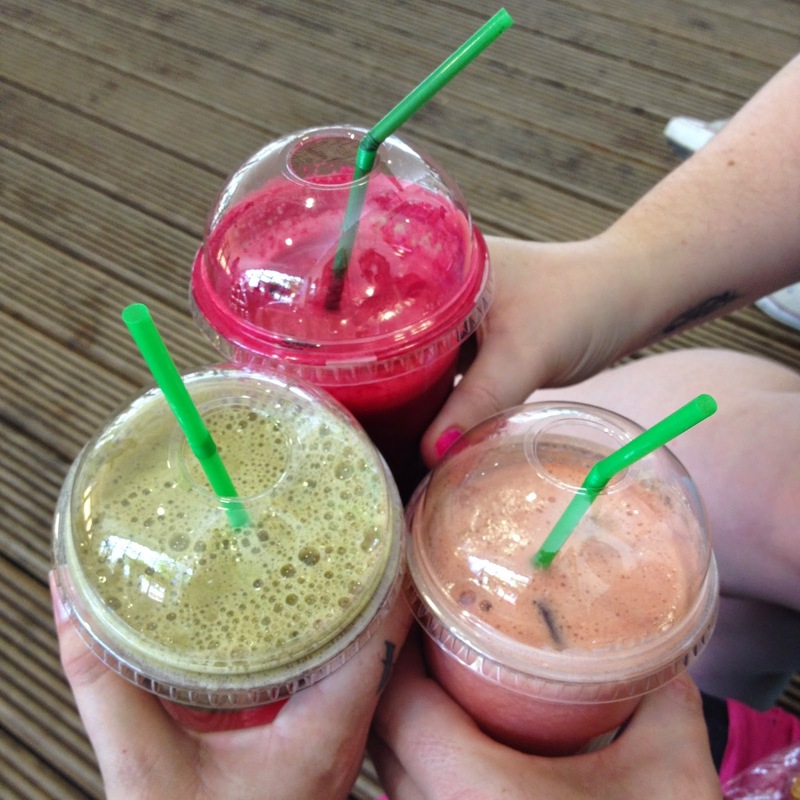 Juice cheers! We all really enjoyed The Eden Project, the Rainforest Dome was my favourite part but I also loved exploring the outdoor areas and riding the little land train. The dinosaur stuff they had on because it was the school holidays was super fun too! I would have liked it if somewhere so focussed on conservation sold a lot less animal products but I guess you can't have everything! The last stop on our journey was The Monkey Sanctuary which is based in Looe Bay. They focus on rehoming monkeys from the pet trade, they have an anti-vivisection stance and they're definitely vegan leaning - the cafe is entirely vegetarian with a lot of vegan options which is a great start. I first visited The Monkey Sanctuary five years ago and I've been dying to go back ever since. They're one of the charities my not-for-profit bakery Operation Icing donates to and it was fantastic to see how the monkeys are doing and to hear some talks by the volunteers. I didn't take pictures because the monkeys really aren't meant to interact with people and I wanted to keep a respectful distance. They have loads of space but we were all saddened to hear the stories of how they ended up at the sanctuary. We wound down in the cafe before our long drive home, it's in a lovely spot and the volunteers were super nice and happy to tell us what was and wasn't vegan. Nick ordered a the Traditional Burger and I went for the Hotdog. They both came with hand cut wedges. The cafe use Fry's products for their mock meaty offerings which is great because they're one of my fave' vegan companies. The hand cut chips were delish and you know how I feel about hot dogs!! 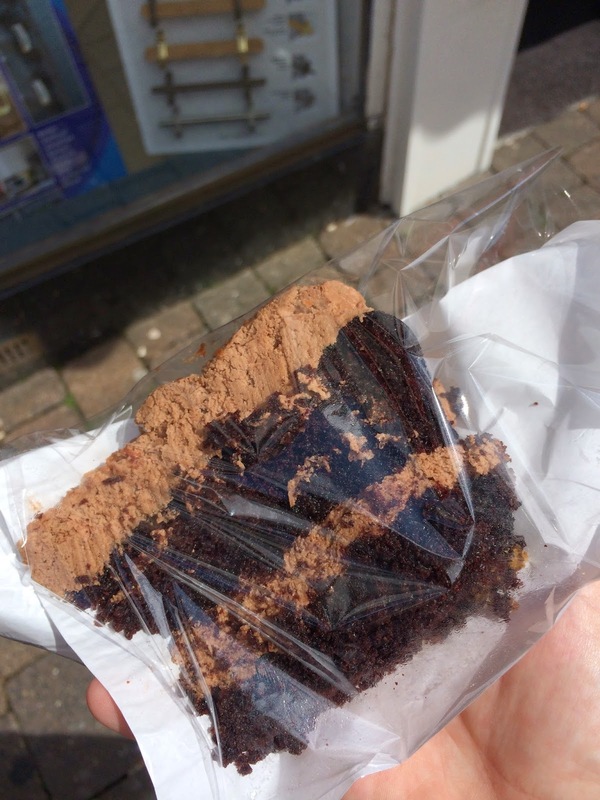 This was a good filling lunch but once we discovered all of the cakes that day were vegan too we dived right in. Sal went for the Carrot Cake with Lemon Frosting and everyone else had a slice of the Chocolate Cake. The cakes were great and I was impressed at the size of the piece you got for your money too. This was a great end to our trip and I would definitely recommend a visit to The Monkey Sanctuary if you're in Cornwall. I love camping! Whether I'm in a van or a tent there's just something special about being outside under the sun or the stars trying to cook your meals on a couple of gas burners. I do wish more UK campsites allowed proper fires and I also wish the weather here was more reliable as despite doing a whole lot of research into which weekend in summer it was least likely to rain it rained so much on our first night that mine and Nick's tent sprung a leak (okay, more like 20 different leaks) and we ended up sleeping in the car. Haha, silly me for even trying to predict the weather! Nothing perks me up more than breakfast though and thanks to Sal's genius we soon discovered that crumpets make a perfect camping brekkie! It's no secret that I'm obsessed with toast, to the point that I have two specific camping toasters that my friends mock me for endlessly. See, the gas rings are small and round and toast is large and rectangular so you do often end up with a burnt and undercooked toast thing going on. I'd still argue that that's better than no toast at all but I'm happy to concede that crumpets are way better because they're small and round, just like the stove. 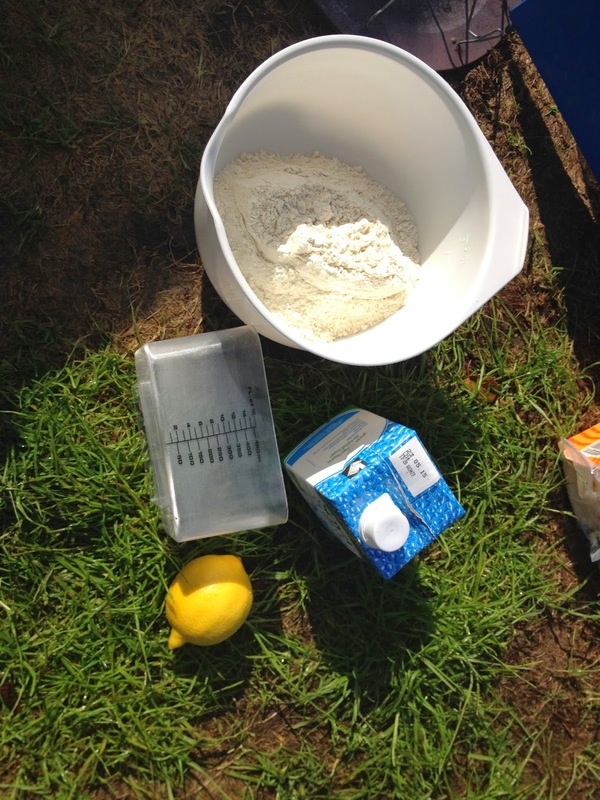 Another ridiculous camping breakfast fave' of mine is pancakes with sugar and lemon. I just mix up the dry ingredients (8oz flour, 1oz Soya Flour and 1oz Sugar) in a zip seal food bag and bring a mini soya milk to add to it alongside water (7fl oz Soya Milk, 7.5fl oz Water). These fry up nicely and sugar and lemon make a super easy topping. You could be fancy and bring jam or chocolate syrup or whatever else you enjoy on a pancake. 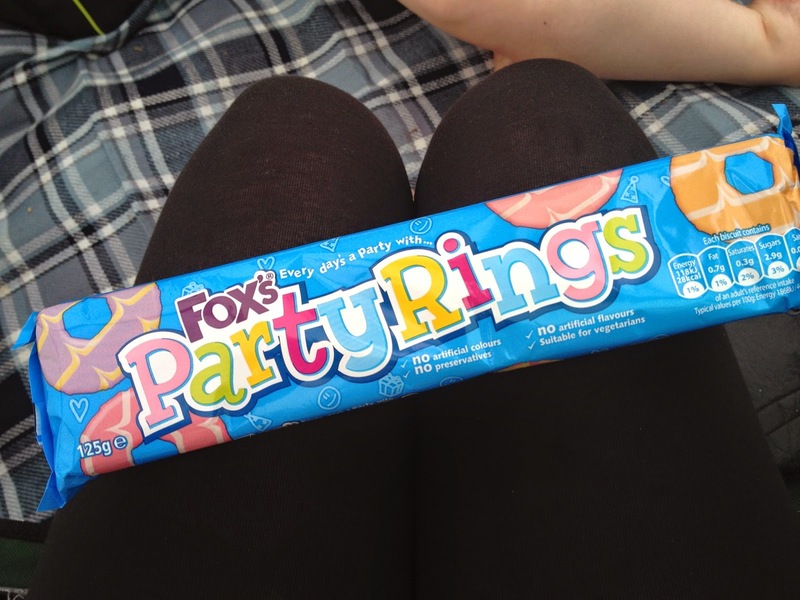 Snacks are another important part of the camping experience and I was overjoyed when Sal pulled a packet of the newly vegan Fox's Party Rings out of her bag as soon as she arrived. These were my favourite biscuit when I was a kid and whilst I won't be buying them all the time they'll be perfect for my next birthday celebration / children's tea party. 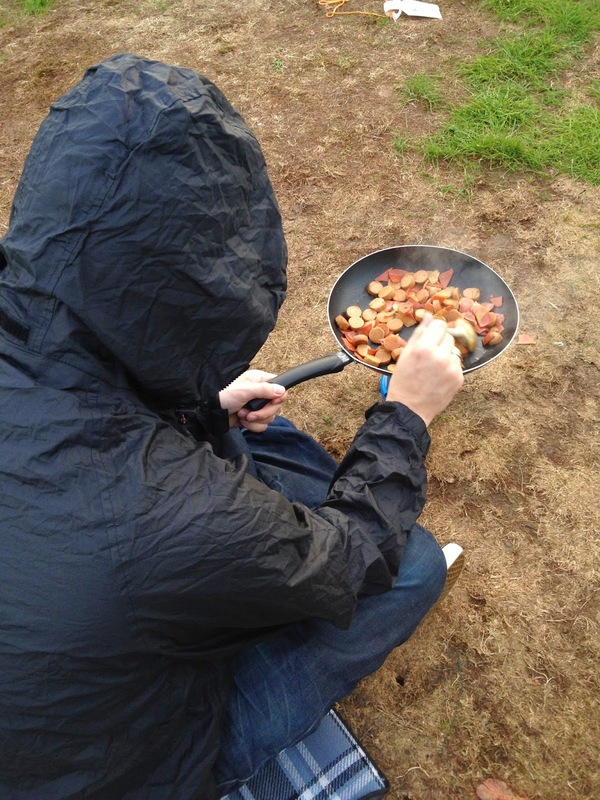 Sometimes when you're camping you just want to eat something quick and easy which is where baked beans or spaghetti hoops come in handy. You can eat these hot or cold - although apparently doing the latter makes you something of a savage according to my buddies. Of course I went for the cute option! 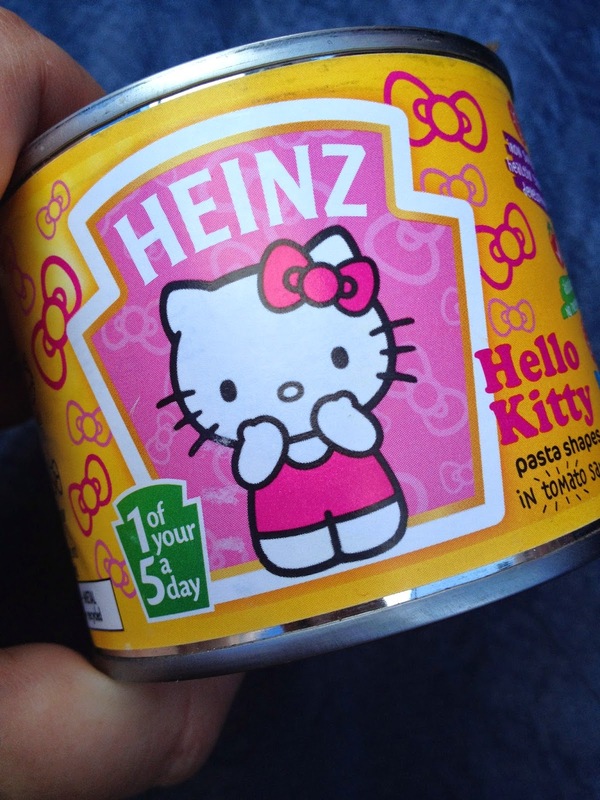 Hello Kitty for me and My Little Pony for Sal - you can read her account of our trip here by the way! 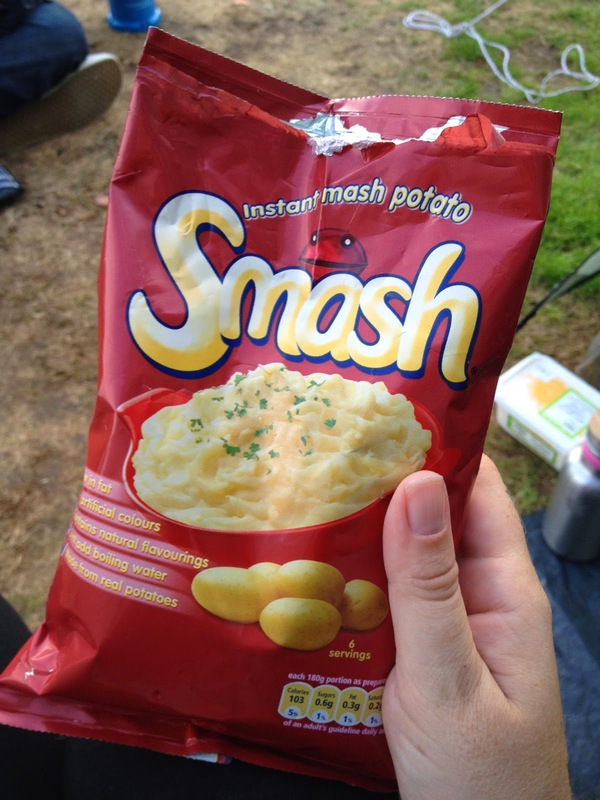 One night we decided to cook up something a little more gourmet so we made fancy Smash! ...and after rehydrating the instant mashed potatoes with soya milk and water I added Vegusto Piquant cheese, nutritional yeast, salt and margarine before Nick topped the whole lot with the meaty fry up. This was warming and surprisingly tasty, it even won Nick over to the belief that reconstituted potato is a-ok! No camping trip would be complete without S'mores so Nick and I brought chocolate and marshmallows and Sal brought digestives as her local American import store had no vegan graham crackers. 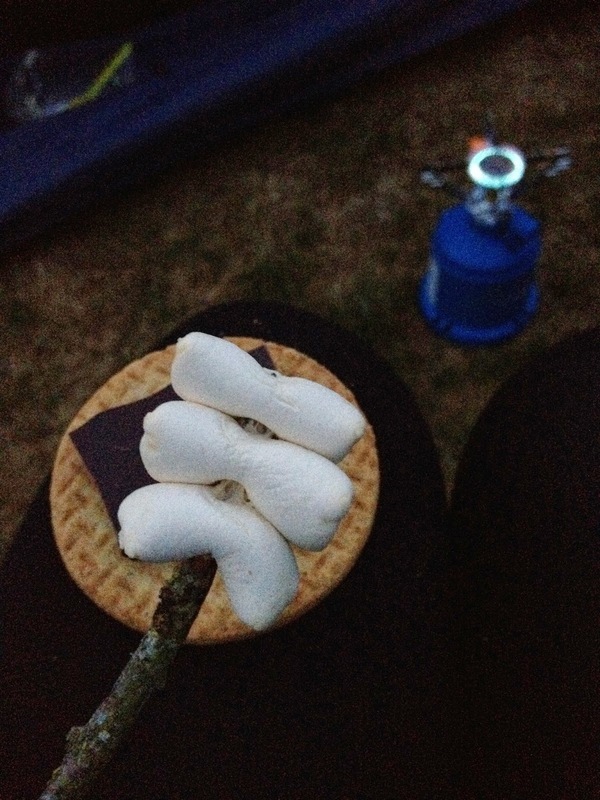 S'mores aren't meant to be made on a gas stove but with the "no fires" rule in place we made do. 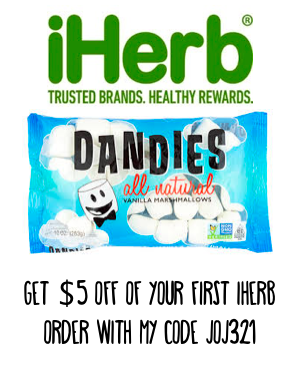 Freedom Mallows are quite little and due to their size they don't quite melt as well as Dandies or Sweet and Sara but they did melt and that's what matters. Tabitha patented a technique that involved patiently waving the mallows close to the flame to melt them gently and then balancing the square of chocolate carefully on top of them so that it'd get a little melty too before sandwiching the whole lot between the biscuits. Perfection. I will warn you that this technique will end with your stove being covered in melted chocolate but it's worth it and it's easily cleaned off with a selection of baby wipes! I love being in the countryside, I grew up in it and I've re-kindled my love for it now that I don't need to deal with getting everywhere on a bus that leaves once an hour, only goes to the next small town and stops at 5pm. Dawn and dusk are my favourite times of day in this kinda setting, there's something super beautiful about the light and the quiet calm. Here I am watching some adorable sheep! 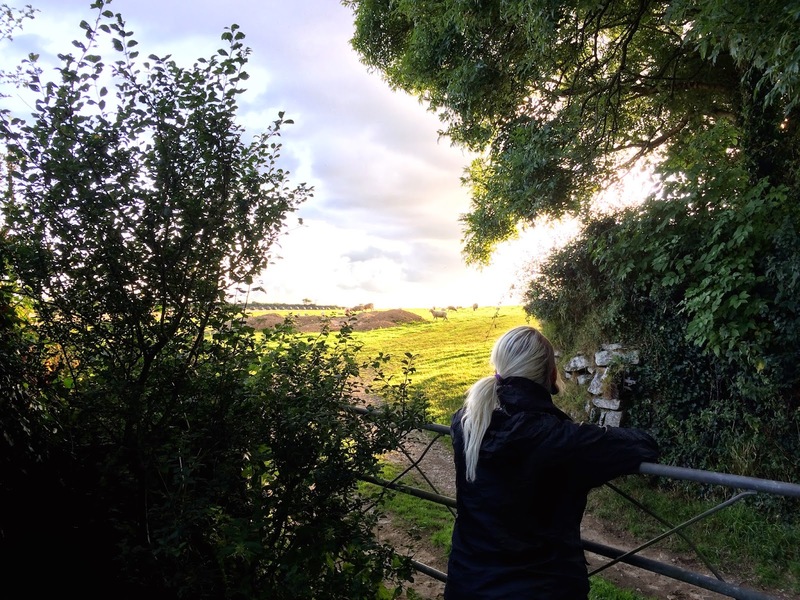 I'll be back soon with more of our Cornish adventures including a trip to The Eden Project and a review of exciting new vegan restaurant Wildebeest Cafe. I was lucky enough to get to visit one of my favourite cities, Vienna, a few weeks ago. Part one of my Re-Visiting Vienna series is right here, there are pictures of ice cream so you probably want to check that out! 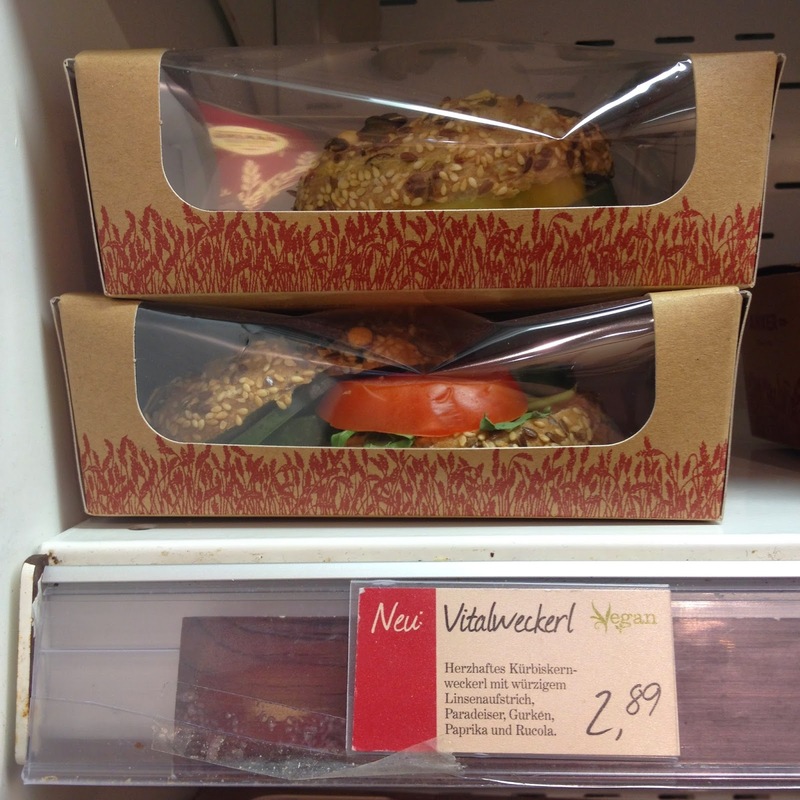 Since my last trip in 2011 Vienna has spawned not one but two entirely vegan supermarkets. I was so excited to hear this! I feel like everyone's heard of Veganz so I'm going to start with the slightly lesser known market, Maran Vegan. I was amazed by the size of the place as soon as we stepped through the doors, it's the size of a smallish regular supermarket! It feels spacious and well laid out and like I could actually do my grocery shopping here. 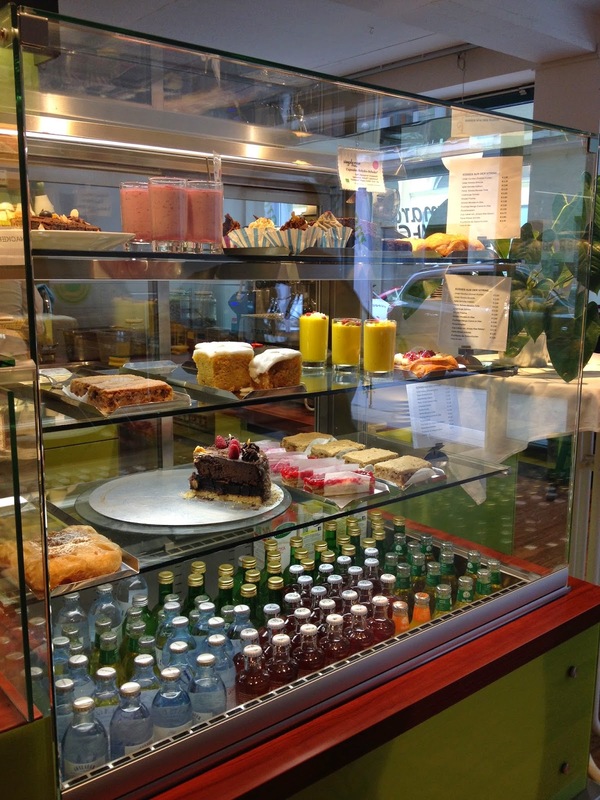 The counter on your right as you enter the store is full of delicious looking salads so that you can grab lunch to go. There's also a case of baked goods which are accompanied by cookies and croissants ontop of the counter. Perfect for a grab and go lunch if you're pushed for time. I was also totally impressed by their produce section. But obviously I was more impressed by the mock meat and cheese section! There were so many kinds of seitan, it kinda blew my mind. There were also plenty of vegan cheeses to choose from. This is the cheese used by Rupps, one of my favourite bars in Vienna, to make their grilled cheeses. 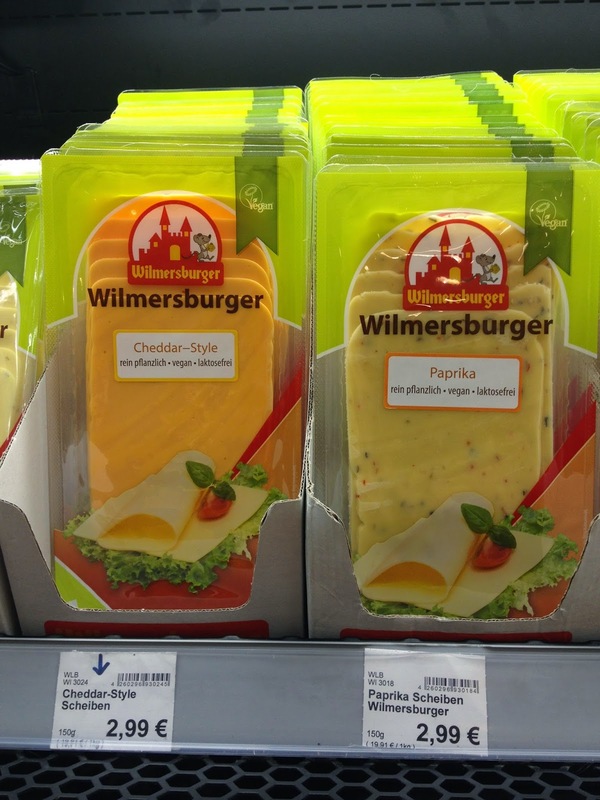 Wilmersburger is another one of my favourite non-dairy cheeses. It's similar in taste and texture to Violife but they're a different deal. 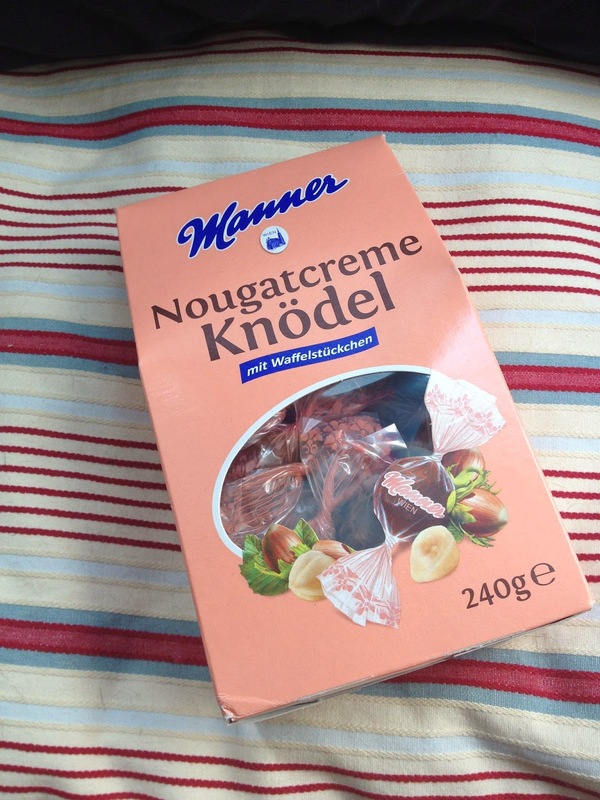 I've been known to snack on a whole pack of this stuff whilst exploring European cities. 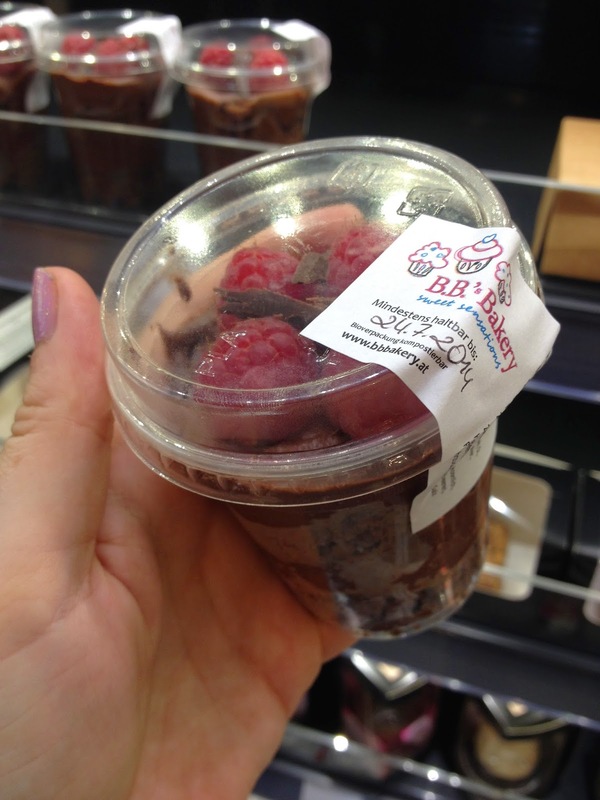 As well as your staples - rice, pasta, non-dairy milk and a great selection of Japanese products by Clearspring, there are plenty sweet treats. 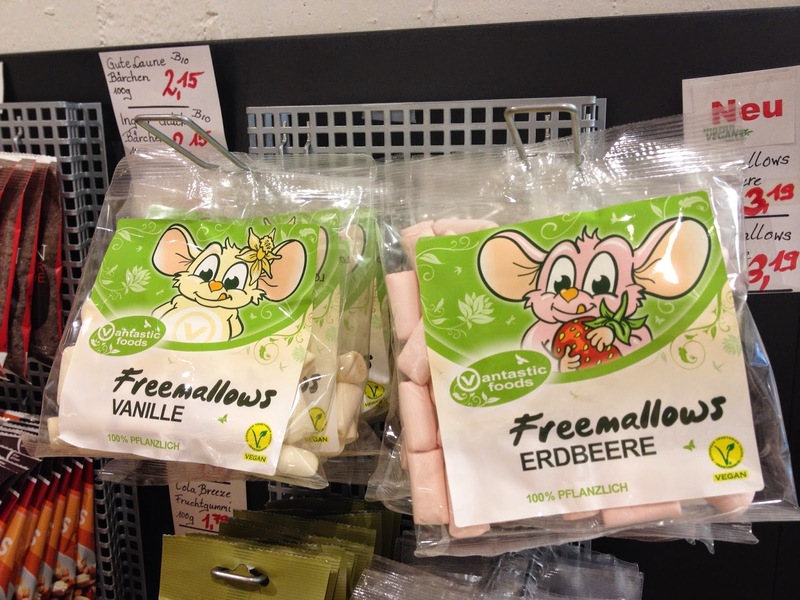 I think these are a repackaged version of Freedom Mallows! They're a bit like a flump! I picked up a pistachio rice milk chocolate bar that I didn't love but Nick sure did. 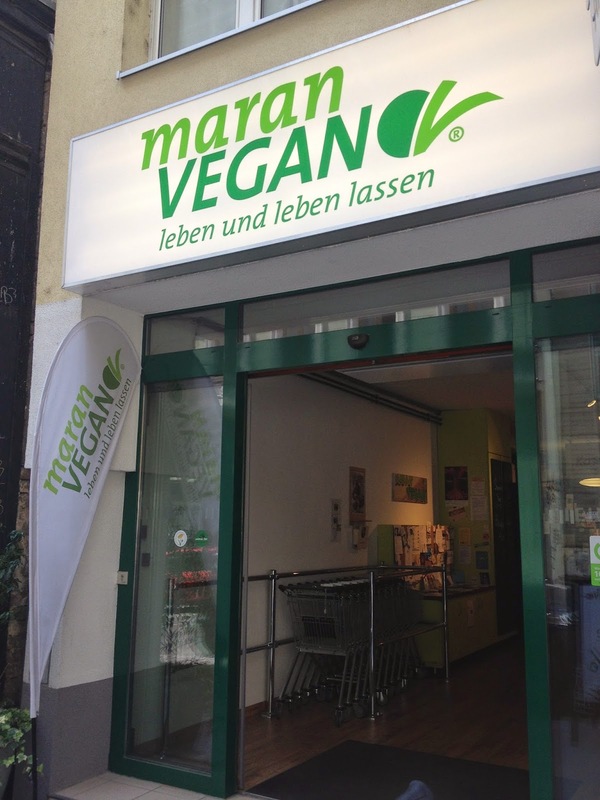 Maran Vegan is an awesome addition to Vienna's vegan scene and I'd say it's a must visit spot for sure. 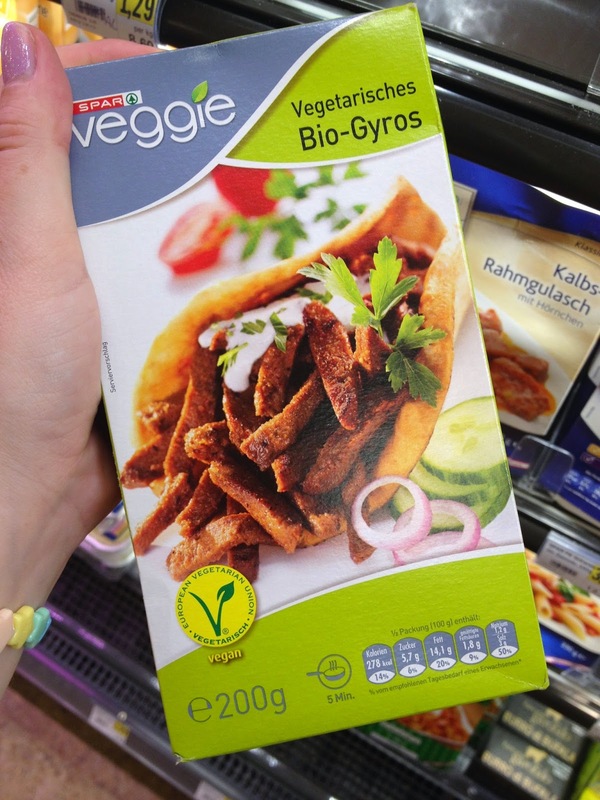 Next stop on the vegan supermarket tour was Veganz, having already visited their locations in Berlin I knew what to expect but I was still wowed! This is the non-dairy fridge. There are so many kinds of vegan yoghurt and cheese these days and vegan cookie dough exists. This is such a rad time to be vegan! 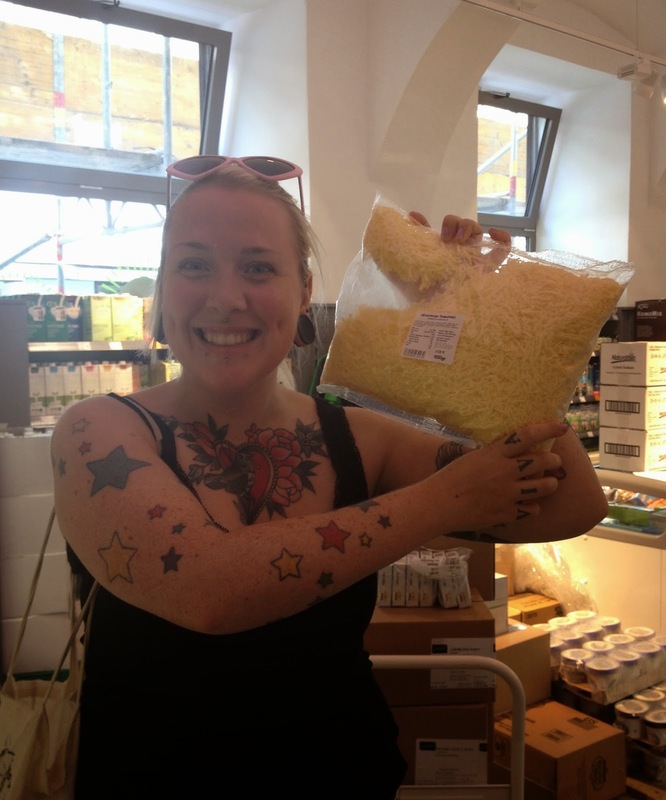 This is possibly the largest bag of vegan shredded cheese in the world! Veganz definitely have more imported American products than Maran Vegan. I was sad that I couldn't take home any Gardein products, I seriously love them and I'm hoping to try the new Fishless Fillets in Austin later this month - if anyone has an oven they wanna lend me then holla! I also want to try the Tofurky Quiche and maybe the Pockets, again though I couldn't be taking frozen stuff home and it seemed silly to pay import prices to try them at my friends houses when I can probably give them a whirl in Austin. People in the US of A have the widest range of vegan ice creams to choose from so I'm excited products from there are slowly trickling over to Europe. If I'd seen the So Delicious Almond Milk Mini's I'd have snapped up a box and eaten them right there and then. Veganz also sell enormous bags of Vital Wheat Gluten, something I always pick up when I'm travelling as it's so much cheaper anywhere other than the UK, and a huge range of imported chocolate bars from Go Max and Eli's Earth. There's also a chiller section with prepared foods but it wasn't overly impressive. This parfait looked super good though! The savoury selection really wasn't great, there were sandwiches that appeared to be filled with a couple of slices of roasted pepper and a lettuce leaf (my friend confirmed that these were indeed as terrible as they looked) and I bought this pasta salad that was just downright gross. It tasted like vinegar! If I hadn't been sitting in the airport waiting for a delayed plane when I opened it I wouldn't have eaten more than a couple of bites. Having eaten some delicious prepared foods from the cafe adjacent to the Veganz store in Berlin I think the Vienna location definitely needs to step up their game. 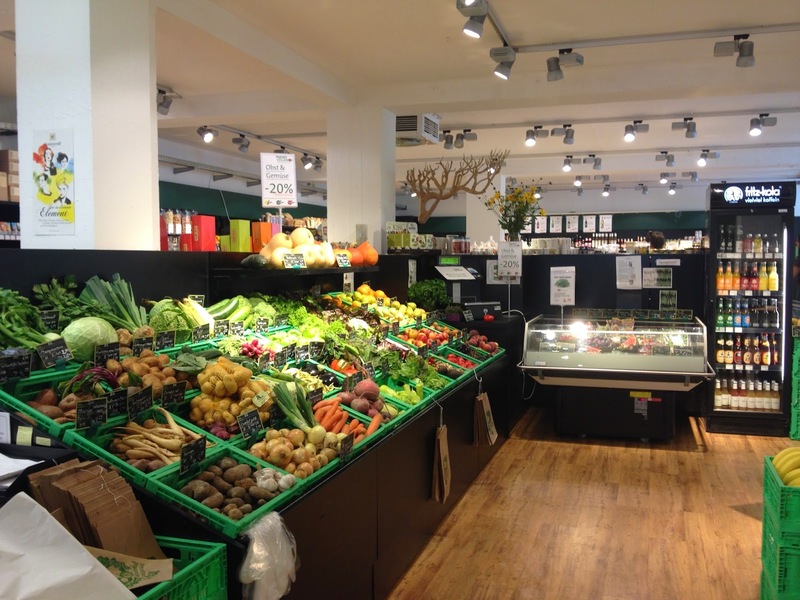 Vegan Supermarkets aside Vienna, in fact Austria in general, is a hotbed of vegan activity! 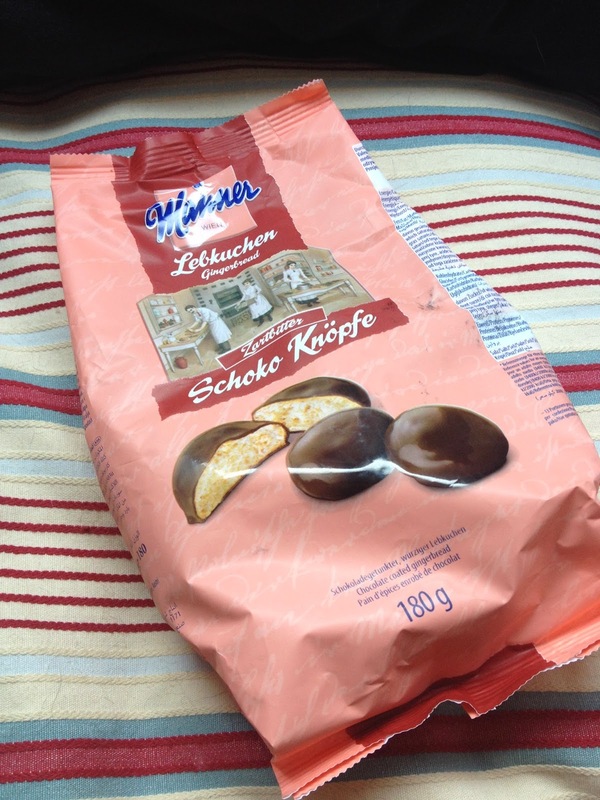 Ubiquitous Austrian brand Manner have plenty of vegan options. There was a terrifying moment a few years ago when they put milk into the original recipe but the backlash was strong and almost everything's back to normal now. 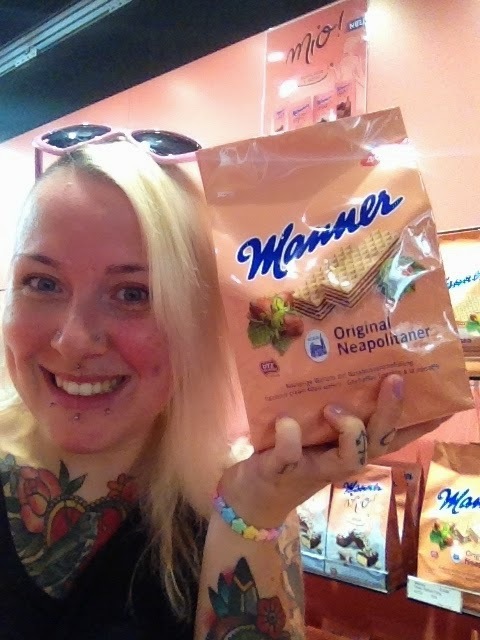 The Original Neapolitaner wafers are my favourite, I always buy a huge bag because life's too short not to eat copious amounts of delicious wafers. 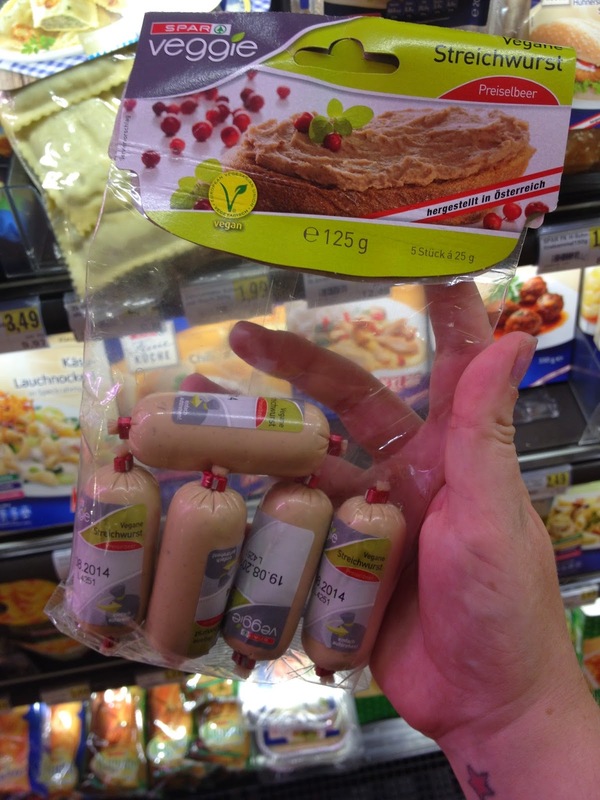 These little packs are also vegan, perfect for when you're on the go to or, y'know, for breakfast. On this occasion I also discovered these delicious chocolate coated gingerbready bites which have to be my second favourite Manner product. I also picked up these adorably names Nougatcreme dumplings! These are essentially the filling from the wafers in sweet form. They were way too sugartastic for me though (and I love a Go Max bar!) but Nick and my friend Tabitha were super into them so they didn't go to waste. 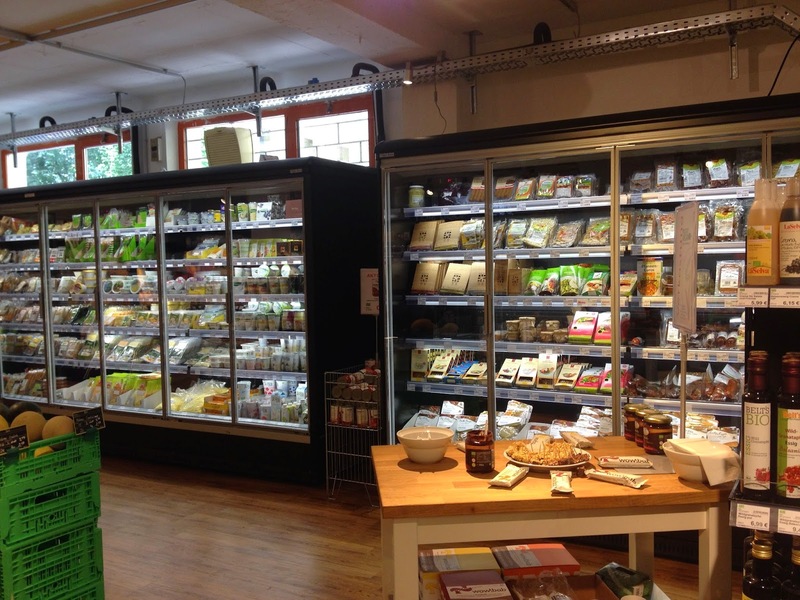 You can find Manner products in almost every store in Austria that sells food as well as in Veganz, the flagship Manner store at Stephansplatz, and the Manner concession on the first floor of the Thalia bookstore on Mariahilfer Straße in Vienna. 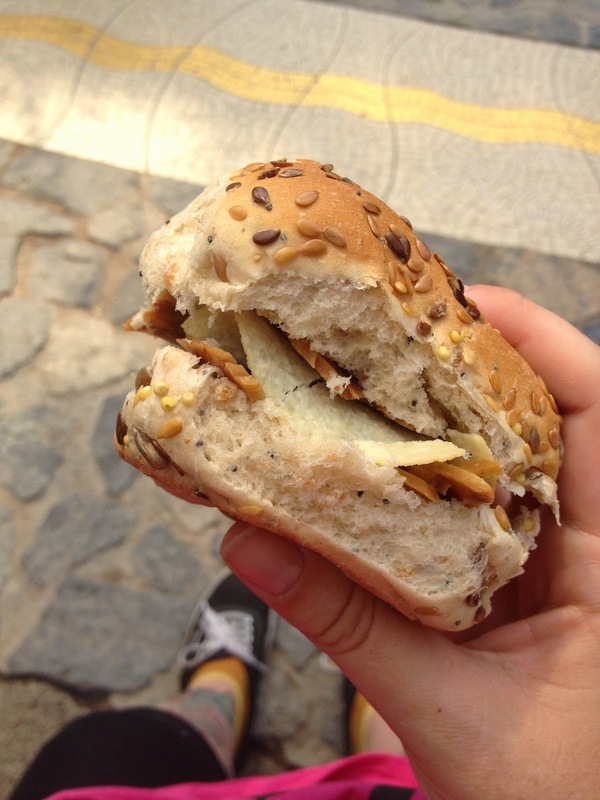 The Anker chain of bakeries is another place where it's easy to find delicious vegan food. The stores are all getting makeovers at the moment so expect to be looking out for slightly different signage. Part of bringing them up to date is labelling the vegan options, I'd love to see that happening at chain bakeries over here. 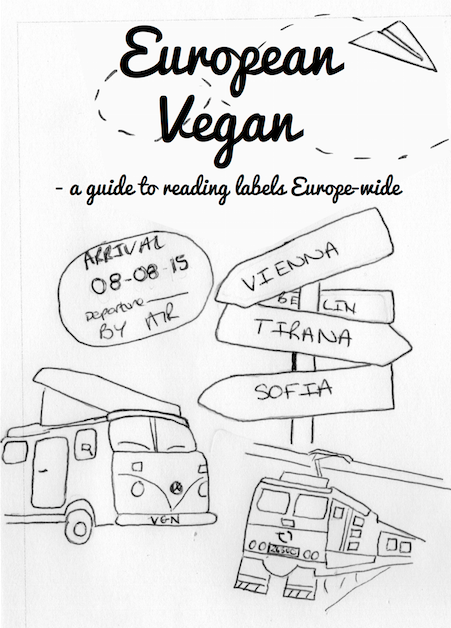 The word vegan is in the top right hand corner of the label on all suitable products. As well as bread there's a sandwich which has roasted vegetables and a tofu spread. 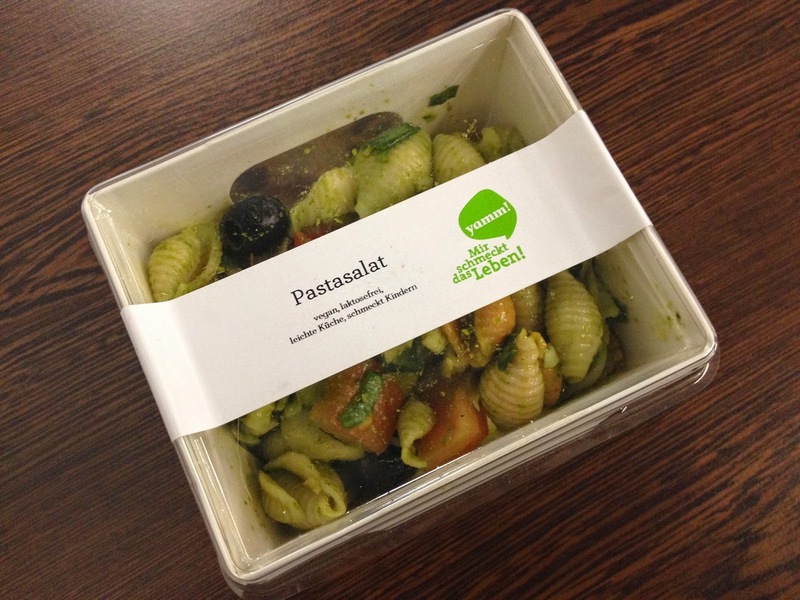 I was wishing I'd picked one up before going through security at the airport after I tasted that pasta salad from Veganz! The thing I was most excited about though was the vegan friendly pastry selection, they have both an apple turnover and a currant turnover. I picked apple and I wasn't disappointed, this was delicious and I'll certainly be eating it again. Another chain that's down with their vegan labelling is Spar, I found all of these products and more whilst wandering around the Spar at the airport. Spar is right opposite arrivals so if you're headed for departures you just need to go down a level to find it. 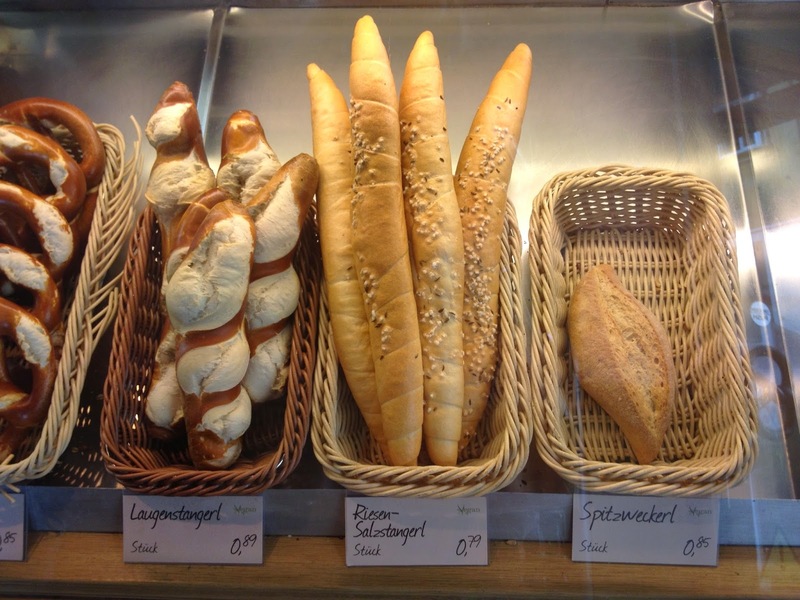 There's an Anker bakery right there too making Flughafen Wien the best airport I've been to so far. If I'd had any cash left I'd have definitely tried to squeeze some of these products into my Manner filled backpack. 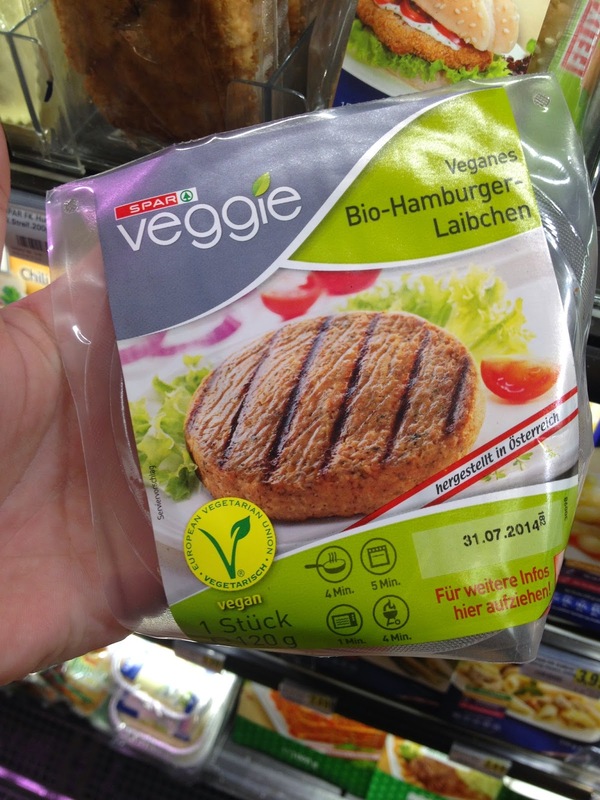 I think it's ridiculously awesome that a supermarket chain not only labels vegan options but goes as far as to have own branded hamburgers, gyros and pates! Again, awesome job Austria. You know I'll be back!